Attention-Grabbing Headlines: Not only is the headline the first thing a reader sees when they visit your blog, it is also what is displayed when your article is posted to social media sites and the search engines. And speaking of search engines, the headline is one of the first places they look when they are categorizing your content. Your title should include the keyword you intend to target while grasping the reader’s attention. Keyword Saturation: If you are blogging to promote your business, it’s imperative to use the industry-related keywords throughout the text. Now the obvious inclination would be to simply deluge your blog with keywords, but the search engines are savvy to this. Search engines are designed to scan content the same way people do, just ask Yahoo!. This means areas that grab the reader’s attention—such as headlines, subheads, and bolded and italicized text—carry more weight with the search engines too, so be sure to include keywords in these areas. Linking: All search engines use linking as one of the key criteria when they are ranking sites. To that end, you should not be afraid to link to quality sites and seek out quality sites to link back to you. It may seem superfluous to link to an article on CNN or MSNBC, but these links do have their benefit. Most articles on these major news sites offer links to relevant blogs on the topic, and if you are linking up with them, they’re more likely to find you. Unique Content: This may seem obvious, but people don’t want to read dry, mundane drivel that looks as if a four-year old composed it. In order to gain credibility from readers and the search engines, you must provide pertinent information that is difficult for people to find. For example, if you are marketing stem cell products, don’t simply do a series of posts explaining what a stem cell is; if people want this information, they’ll just go to Wikipedia. Instead, report on some of the latest developments in stem cell research, open a discussion about the controversy surrounding stem cells or describe how your specific product line differs from the competition. Also, keep in mind that most readers have a short attention span, which is reduced even further when they are online. With this in mind, keep your posts short, sweet and to the point. Aesthetics: From the layout of the text to the images that you utilize, visual elements are an important aspect of any blog. Reading on a screen is difficult enough for most people without having to navigate poorly placed, irrelevant pictures and awkward jumps in the text. Adding bulleted lists and frequent line breaks will make your post look less intimidating and allow readers to glean information easily. 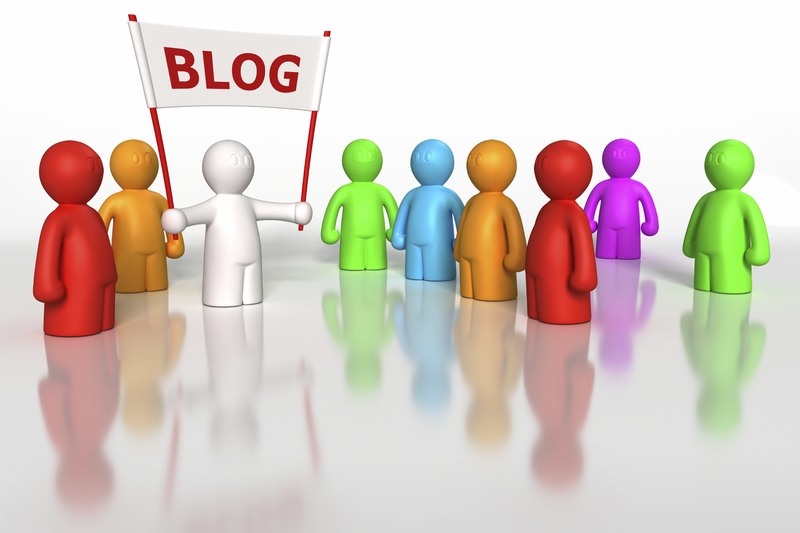 Remember that readership is the primary purpose of the blog, so make sure the font and color of the text are easy to read for all visitors. Continuity is another significant element; you don’t want to have a mismatched jumble of fonts and colors on your page. This final point should go without saying, but I’ll do it anyways: blog! Unless you are continually adding new posts to your blog, there is no reason for visitors to return or provide links to your blog. As I said before, there are tens of thousands of new blogs everyday, so if you fail to deliver quality content, someone else will.